Robert Marc, acknowledged for being a true visionary in the world of eyewear, has revived the art of the handcrafted frame. His exclusive, high-end boutiques provide fashion forward, individualized service to those seeking one of a kind, luxury eyewear. The brand is marked by the Robert Marc trademarked hinge which adds distinction and unity to the unique collection. The Robert Marc Collection is handcrafted with high-quality materials in glamorous color layers and patterns creating a depth to each frame. Robert Marc has a loyal celebrity following and you can find his tailor-made eyewear on the red carpet, the runway and in high profile motion pictures and television series. 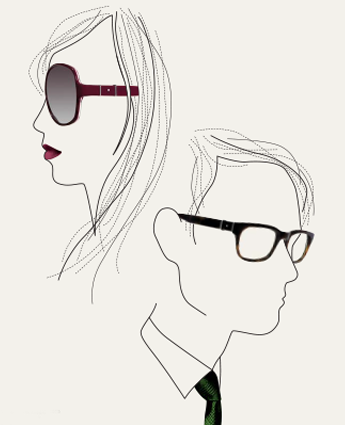 While each frame is unique and hand made, Robert Marc’s seasonal collections are themed, based upon Robert’s award winning artistic imagination. In 2001, Robert was inducted into the Council of Fashion Designers of America and in 2011 the Accessories Council honored him with a Visionary ACE Award to recognize his meaningful and significant contribution to fashion eyewear. Visit the Robert Marc website.